Our Topsy Gold cake is six beautiful layers of real white and gold fondant with the amazing structure of the ultimate Topsy Turvy cake. Even though it looks like it may fall over, it is secure and ready for you fun celebration! 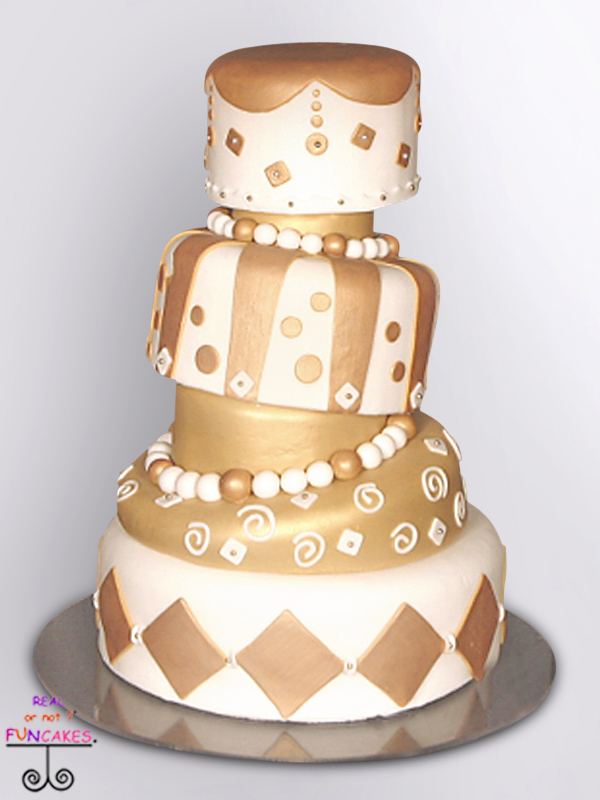 Decorated with dots, swirls and diamond details, perfect for a gold themed FUN party! 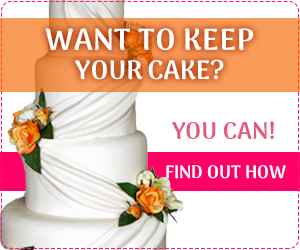 Even though your cake is fake, you want it too look like it will feed your wedding guests. 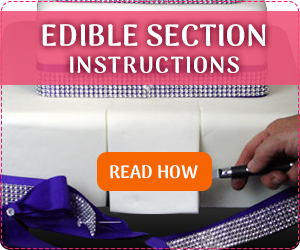 If this cake were real, it would feed 175 guests. 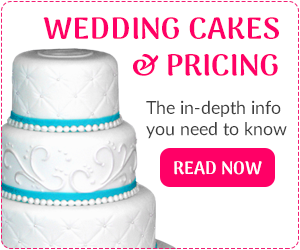 We are charging $1.70 a slice for this beautiful and perfect fake cake, with free shipping.